LOS ANGELES (Reuters) – Rock singer Neil Young is selling some of his most prized possessions – part of his model train collection. The Canadian folk-rock star is putting more than 230 of his vast collection of Lionel trains up for auction in Los Angeles in December, some with estimated selling prices of up to $9,000, Julien’s Auctions said on Thursday. Young, 71, best known for his Woodstock-era songs as well as “Ohio” and “Heart of Gold,” has been a passionate model train enthusiast for more than 20 years. His collection and vast layouts at his California ranch took off in the early 1990s as a means of connecting with his son Ben, who has cerebral palsy, Young said. He also designed a remote control for trains that allows multiple trains to run at once, and a device that delivers realistic railroad audio to help his son get the most of out the hobby. “It is just relaxing,” Young told David Letterman of his hobby in a 2012 appearance on Letterman’s television talk show. 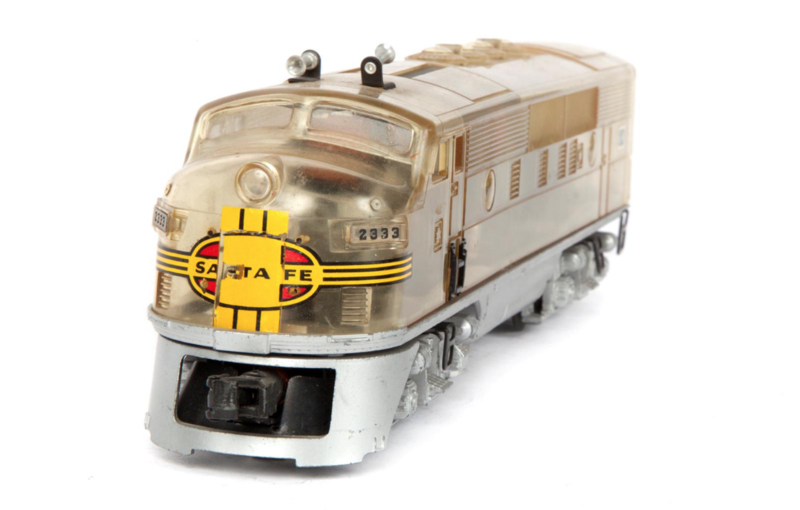 Highlights of the Dec. 9 auction include the Lionel Hudson factory prototype locomotive with a pre-auction estimate of $4,000 to $9,000, and the H.O.A.R.D tour psychedelic Vanderbilt Hudson locomotive which is expected to sell for $3,000 to $6,000, Julien’s said. They include a first in production 1953 Buick Roadmaster Skylark convertible 50th anniversary special edition, with a steering wheel hub saying “customized for Neil Young,” that has a pre-auction estimate of $200,000 to $300,000. Young, who divorced his wife Pegi in 2014 after a 36-year marriage, said it was time for others to enjoy the items. A portion of the auction proceeds will benefit the Bridge School in California, which Pegi Young co-founded in 1986 for children with severe speech and physical impairments. Previous Topic: Win tickets to the Vancouver Train Expo! Next Topic: Why 600,000 Australians tuned in to watch a silent three-hour train ride!